Whether it’s soft memory foam pendant light or eye-catching energy saving fixtures, Replica George Nelson designer lighting offers something for all tastes. His lights are stylish and easy on the eye. If you’re looking for soft lighting solutions for your living room, this is the perfect place to be. 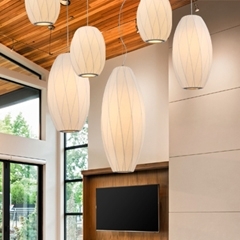 At Mica Lighting, we have Replica George Nelson lighting collection that will accentuate your interior design by focusing soft light on areas that demand a more regal approach. With these lights, you can turn any dull space into the centrefold of a home décor magazine. 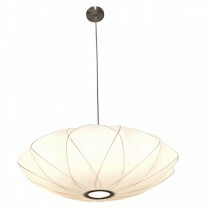 Check out our collection and feel free to buy any Replica George Nelson designer light that you like. Our Price: $255.00 GST incl. Our Price: $330.00 GST incl. Our Price: $250.00 GST incl. Our Price: $630.00 GST incl. Our Price: $118.00 GST incl. Our Price: $226.00 GST incl. Our Price: $137.00 GST incl. Our Price: $217.00 GST incl. Our Price: $397.00 GST incl.